Blurb: The dying wish of 16-year-old Lina's mother was for her daughter to live in Tuscany and get to know her father, whom Lina has never met. 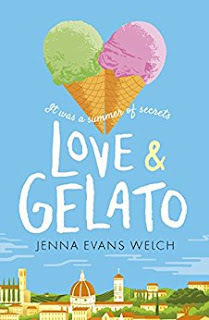 Review: Love & Gelato certainly delivers what it promises: lots of love and delicious Italian Gelato. The story starts in Seattle where Lina lives with her dying mother. Her last wish is for Lina to go live in Italy with Howard, an old friend. After her death though, Lina discovers that Howard is actually her father and she is moving in with him in an isolated house in the Tuscany. I can't even imagine what a confusing and saddening situation Lina finds herself into. She has lost the most important person of her life and now she needs to leave everything and everyone she knows behind to go live with a stranger. But we soon discover Lina is a very strong and lively girl, who is not afraid of change. 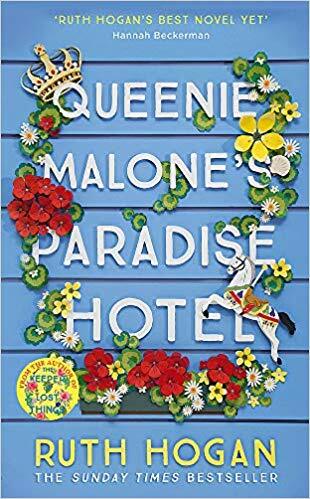 I think the author made a really good job of balancing the sadness and the happiness in this story, and it's obvious that adding a little bit of sunshine and laughs into Lina's life is exactly what she needed. The two main characters that Lina meets in Italy are Howard, her father, and Ren, who lives in a neighbouring field. They are both really great characters with a huge heart and they both help Lina in their own ways. Thanks to them too, Lina (and us) get to discover the beautiful Tuscany and the stunning Florence. Reading about their adventures in the north of Italy is a real treat and you really feel like you are there with them. There's also mystery in the story. 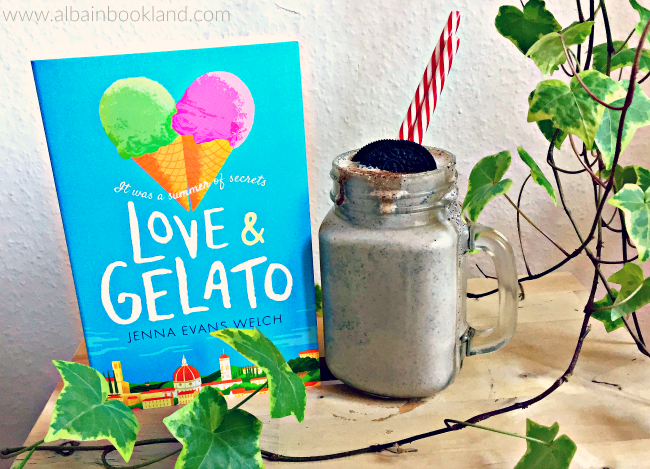 Lina gets a diary that belonged to her mother when she arrives in Italy and little by little we get to know her and what she was up to when she lived in Italy herself as a young woman. I found these passages really moving and I loved how Lina tried to recreate her steps. I was also really curious to know about these event and how they related to the present. I was quite surprised to see how everything intertwined. 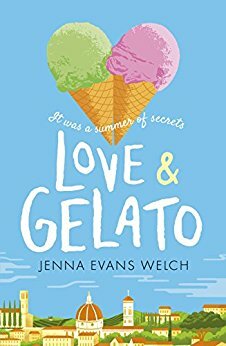 All in all, this is a very heart-warming and fun story that will make you want to take the first plane to Florence. The characters are very well developed and interesting and I think they act their age, they can be a bit silly but they have no malice. I definitely ended up caring a lot Lina and Howard and Lina's friends were such a fun bunch! A highly recommend summer read for YA readers.